Looking to immigrate to Australia? If yes, you need to qualify in Australia immigration point’s calculator to migrate to Australia successfully. What is Immigration to Australia? Immigration to Australia is the process of leaving your place of origin and entering into Australia by obtaining a particular Australian visa, which suits your requirements. Migrate to Australia brings lots of benefits to people, which include quality living standards, advanced study options, good economic and career opportunities, etc. Over the years, the number of people entering the country has significantly increased which lead to increase in country’s population. Who can migrate to Australia? The country encourages individuals who wish to immigrate to Australia irrespective of their religion and place of origin. To encourage qualified professionals, Australia Immigration Department has designed many programs which include Skilled Regional Sponsored (Provisional) Australia Visa, Family Immigration Visa, Business Immigration Visa, and Student Visa etc. Applicants applying for any of these visas must qualify in Australian immigration points calculator. Whether you are a student who wishes to study or an employee who wish to work or a business person who wishes to engage in business or a family who wishes to settle, immigration to Australia is the perfect option for you. To make the Australian immigration process more transparent, unbiased and fair, the country has set up points based system in place entitled as Australian Immigration Points Calculator to determine the eligibility of the candidates who wish to immigrate. The Australian immigration point’s calculator is an effective model that has been developed to standardize the visa eligibility process. Australian immigration points calculator is the points based system in which candidate’s eligibility is evaluated against certain factors set by the Australian Immigration Department. Candidates hoping for migrating to Australia must qualify in Australian immigration point’s calculator. The applicants will be assessed based on certain factors such as age, work experience, educational qualification, language proficiency, and nature of adaptability. 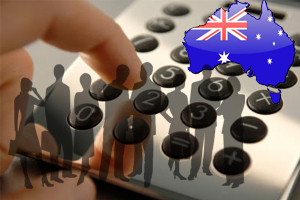 Applicants undertaking Australian immigration point’s calculator test must score points based on the aforesaid factors to enter into the country.